high society have escaped to these forested valleys and fashionable towns, drawn by their signature mix of undisturbed nature, rich history and surprising sophistication. That reputation will increase with the re-opening and reimagination of Blantyre, a former private estate now reopening as a Relais & Châteaux, Forbes Five-Star hotel, restaurant and spa. 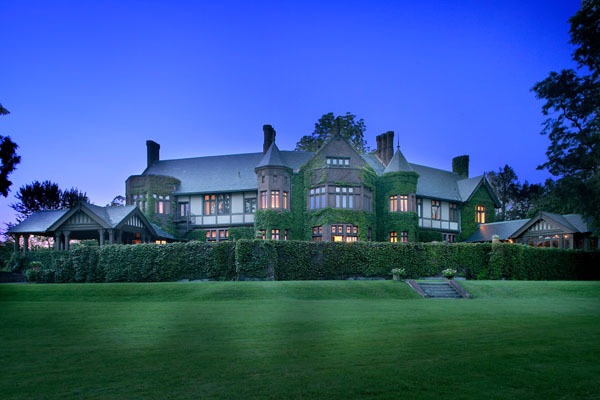 The story begins in 1902 when a Gatsby-like millionaire, Robert Patterson, built a grand summer mansion on a sprawling estate outside Lenox, Massachusetts, modeling it after his mother’s ancestral estate, Blantyre, in Scotland. 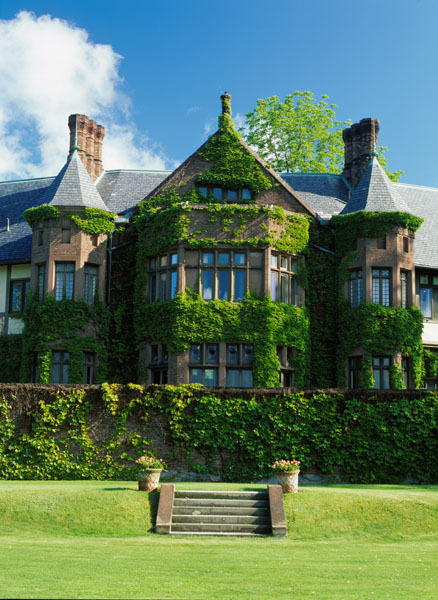 The house and its manicured grounds hosted lavish Gilded Age parties, and was transformed into a hotel in the 1980s, housing some of New England’s most treasured a ntiques. This Spring sees the beginning of a bright, new chapter. Now owned by Linda S. Law, a long-time Silicon Valley real estate developer and investor, the property has been restored with a multi-million dollar renovation. From the outside Blantyre still looks as if it had been uprooted from a Scottish glen, with ivy-clad brick, mullioned windows, slate-roofed turrets, and manicured lawns that roll out through walled terraces and gardens. But on the inside, its timeless charm and historic architecture mix seamlessly with modern luxuries, fine craftsmanship and chic, classic décor incorporating historic fabric designs, rich velvets and pops of color. There are suites in the Main House, Carriage House Suites, and spacious Cottages. Close to the main house, an intimate spa now provides highly personalized and pampering experiences. The Blantyre Bistro serves classic dishes made from the freshest locally sourced ingredients in a lively French bistro setting. The Conservatory at Blantyre will be the hotel’s fine dining restaurant with an outdoor dining terrace overlooking flowing lawns. Both restaurants draw from one of the most expansive wine cellars in New England with more than 10,000 bottles and the private tasting room. Furthering Blantyre’s reputation as a foodie’s destination, the resort has an on-going program of food-focused events throughout the year. This Memorial Day, Blantyre will unveil a full-service champagne salon. This will mark the first ever year-round Dom Pérignon salon in the US. An indoor and outdoor venue will inspire guests to enjoy inventive champagne cocktails and light bites. The champagne salon will serve exclusive specialty vintages including Vintage, Trinity, Dom Pérignon 2006, P2 Vintage 2000 and Rose 2005. 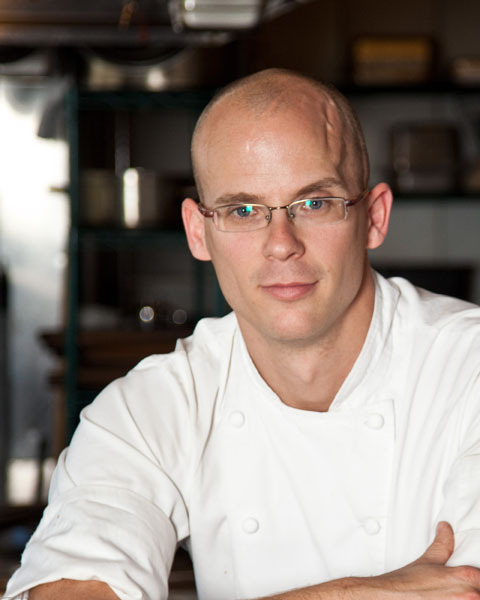 Distinct culinary pairings will be overseen by Executive Chef Jeremy Berlin. The Cloister: Located in the estate’s private outdoor garden, The Cloister’s “Tin to Table” menu will feature an upscale, creative twist on such classics as caviar and tapas. Surrounded by the estate’s meticulously manicured flora, The Cloister will accommodate up to 24 guests in a laid-back setting. La Cave: Nestled inside the estate’s speakeasy-inspired space, La Cave’s intimate 30 seats embodies a sleek and sophisticated design, with a cool color palate of charcoal greys adorned with gold and brass accents. The menu will offer savory options such as raclette, fondue and charcuterie. When not enjoying the pleasures of the hotel itself, guests can enjoy the tranquil natural setting, strolling through the property’s lush lawns and woodlands or playing tennis or croquet, hiking or lounging by outdoor swimming pool. 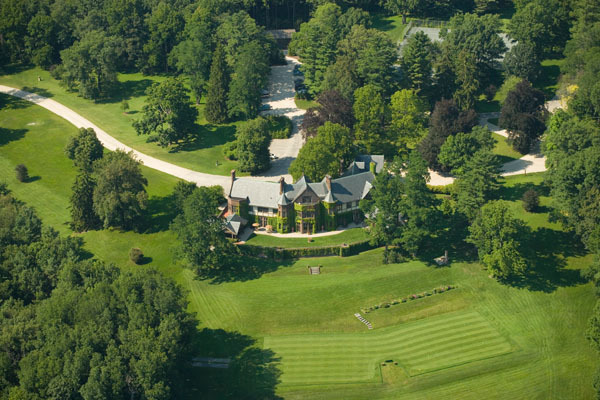 Golfers can take play the historic, nearby 18-hole course. In July and August music lovers can take full advantage of Tanglewood, the summer home of the Boston Symphony Orchestra. The Berkshire Museum, Norman Rockwell Museum the Massachusetts Museum of Modern Art (MOMA) and the Museum of the Gilded Age are just some of the nearby cultural attractions. Each subsequent season brings a different set of activities including Fall foliage getaways, snowshoeing, ice-skating, cross-country skiing and horse drawn carriage rides. Reservations for Spring and beyond can be made by calling 844-881-0104.